Russia on Monday made very clear to India its unhappiness over two key bilateral issues-- Kudankulam Nuclear Power Plant 3 and 4 and investments by its telecom company Sistema in the country, saying rules of the game should never be reconsidered till it is over. It also stressed that government should 'demonstratively' help the business representatives to solve issues emerging during their contact with the bureaucracy, saying business community would stay off, if there were scandals. External Affairs Minister S M Krishna and Russian Deputy Prime Minister Dmitry Rogozin co-chaired the Indo-Russian Inter-Governmental Commission meeting on Trade, Economic, Scientific, Technological and Cultural Cooperation during which they also deliberated on these contentious issues. Addressing a joint press conference, the two leaders agreed that efforts have to be made to achieve the desired bilateral trade target of $20 billion by 2015. Outlining three factors to have strong economic relations, Rogozin said it included that "We should never reconsider the rules of the game once the game has begun. And we should hold the rules till the game is over," and added that it was important to fulfill the agreements achieved. Though he did not mention Sistema, the reference was clear as earlier the allotment was done on first-come-first-serve basis and now there is recommendation by an EGoM (empowered group of ministers) for auctioning of spectrum. On Sistema, Krishna made it clear that he will not be able to comment on the $3.1 billion Russian project as the matter was before the court but gave an assurance that the government will try to work on a strategy to pursue strong economic relations. 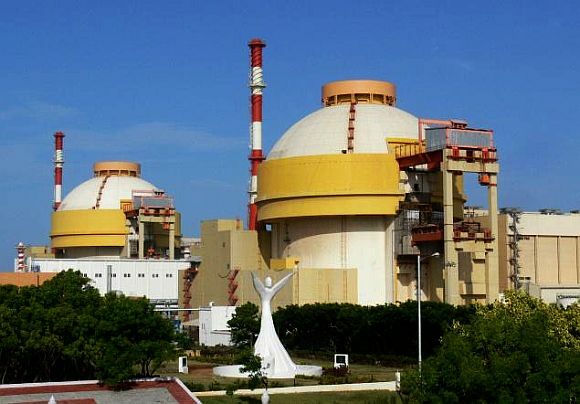 On Kudankulam, Krishna said, "We did discuss the preparatory work for the units 3 and 4 of KNPP....Further techno-commercial agreement is still being negotiated by our experts and I have no doubt that we will come to mutually acceptable resolution of this issue." Ahead of his meeting, Rogozin had Sunday said the cost of the third and fourth units of the Kudankulam atomic power plant would escalate if it is brought under the purview of India's civil nuclear liability law over which differences remained. Differences in perception over the nuclear liability law have become a bone of contention between India and Russia in negotiations on units III and IV. The law makes foreign suppliers liable for compensation in the event of accident. Russia argues that the civil nuclear liability law should not apply to these units as the agreement on them predates the 2010 civil liability law, and could be seen as "grandfathered" by the original 1988 agreement while India has clearly stated that making an exception for Russia will amount to diluting its law which will encourage the US and France to seek similar exemptions, which it cannot afford. The estimated cost of units III and IV is $6.4 billion, of which $3.4 billion will be taken care of by Russian state credits. Rogozin has given an assurance that the reactors were safest in the world. The visiting dignitary also asserted that it was important to understand the "liability and responsibility" of Indian and Russian governments in creating a favourable and stable investment climate as far mutual business was concerned. "We should allow our business community to see the green light in order to begin active interaction and conclude major contracts......And so I would like to express the hope that we will be able to resolve the current difficult situation with the Russian investments in Titanium Products Private Ltd and Sistema Shyam TeleServices in India," he said.